Our commitment to help people with allergies live a normal life goes beyond treatment. In addition to our existing online AIT resources for allergy specialists, we have designed a range of integrated and customized service solutions that ensure a continuum of care for patients and support physicians in their daily practice. In collaboration with patient associations and physicians, we have developed comprehensive international support programs which aim to promote collaborative care, facilitate clinical practice and to improve the patient journey from education to diagnosis to treatment. 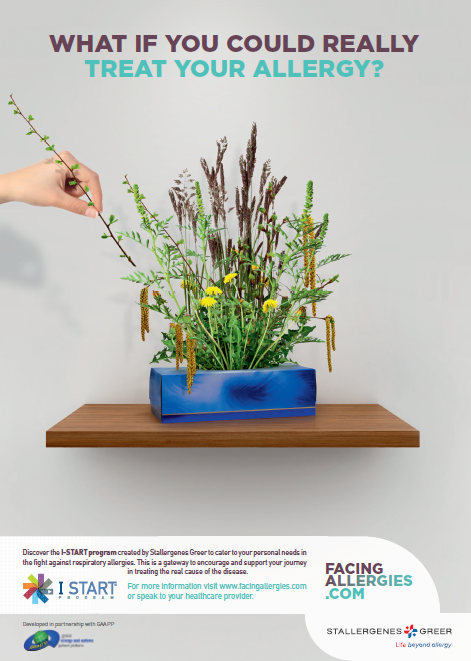 I-START is a program that has been created to improve access to allergy information and medical care, with the ultimate aim of improving the daily lives of patients with respiratory allergies. I-START is INNOVATIVE: A NEW global program that aims to engage healthcare professionals, specialists and non-specialists, as well as allergy sufferers, in improving the management of respiratory allergies. I-START is COLLABORATIVE: I-START promotes a collaborative care approach by connecting and empowering all healthcare professionals (allergy specialists and non-specialists) involved in caring for allergic patients, so that patients receive the best support possible, whatever the severity of their condition or the treatment regimen. 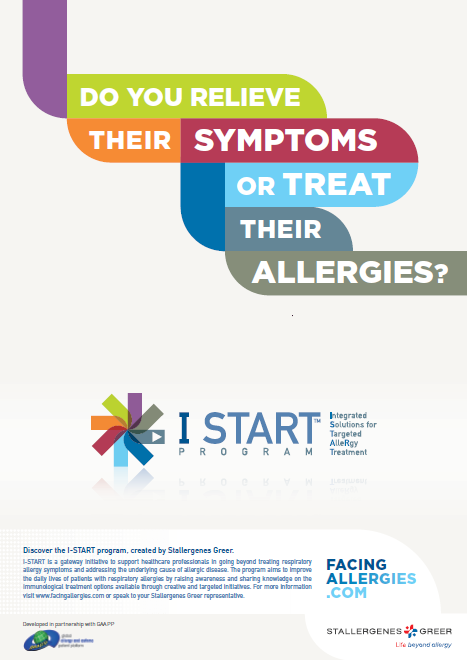 I-START is COMPREHENSIVE: A dedicated resource for both healthcare professionals and allergy sufferers. I-START provides relevant and up-to-date educational information, resources and tools to ensure that respiratory allergy sufferers receive optimal care and support.